"I always thought to myself, what's the point of bringing up the past? 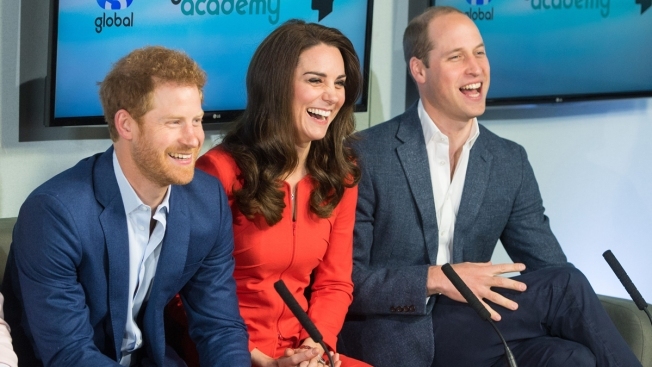 And when you start thinking like that it can be really damaging"
Prince William, Duke of Cambridge, Catherine, Duchess of Cambridge and Prince Harry attend the official opening of The Global Academy in support of Heads Together at The Global Academy on April 20, 2017, in Hayes, England. William and Kate and Prince Harry talk about personal issues they've faced, including becoming new parents and the death of Princess Diana, in a new video filmed at Kensington Palace on Wednesday. This video is the latest in the push by the young royals to promote conversations about mental health, a topic that has surged to the forefront of their charity work. The Duke and Duchess of Cambridge opened up about the "steep learning curve" involved in becoming new parents and how overwhelming it was. "Remember the first few days with little George," Kate said. "You have no idea what you're doing. No matter how many books you read, nothing can prepare you for it." William, second in line to the English throne, said that having children has put things in a new perspective, helping him understand why certain things make him upset, particularly when it comes with working with veterans and their families. William and Harry also spoke candidly about how they didn't talk much about their mother's death as they grew up without her. William was 15 and Harry was 12 when Princess Diana died in a car crash in 1997. In the video, Harry said the two had not talked about their mother enough. Breaking with the royal tradition of stoic silence about mental health, Harry revealed to Britain's Daily Telegraph earlier this week that 20 years after Diana's death, he has finally sought out counseling. In the video, Harry gives William credit for encouraging him to seek help. "I always thought to myself, what's the point of bringing up the past? What's the point of bringing up something that's only going to make you sad," Harry said in the new video. "It ain't going to change it. It ain't going to bring her back. And when you start thinking like that it can be really damaging. And you always said to me, 'You've got to sit down and think about those memories.'" Harry told The Daily Telegraph that he had nearly suffered multiple breakdowns since his mother's death after he "shut down all his emotions" for 20 years. In the video, Kate reveals it was her idea for the royals to get involved with mental health, calling it the "common thread" that touches many other issues like homelessness, addiction and bereavement. 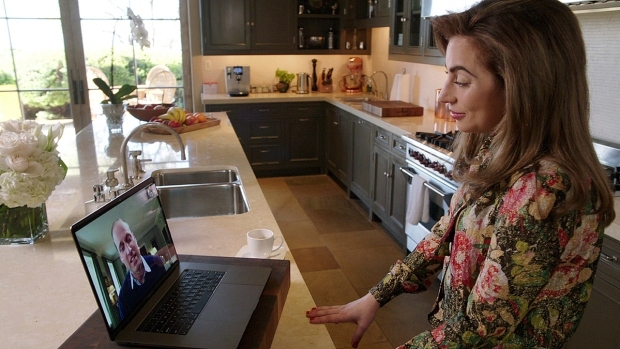 Lady Gaga and Prince William chat on FaceTime, talking about Gaga's mental health struggles and the Prince's charity, Heads Together. The video was posted to the official Kensington Palace Twitter account on Friday, also Queen Elizabeth's 91st birthday. This weekend, hundreds of runners will take part in the Virgin Money London Marathon on behalf of Heads Together. The Heads Together campaign is an initiative by Harry, William and Kate to encourage open conversations about mental health issues, with the hope of ending stigma, raising awareness and providing help for people with mental illness. A spokesperson for Kensington Palace said in a statement that the trio has been "overwhelmed by the response" to the campaign.